This little book is full of practical spiritual wisdom. 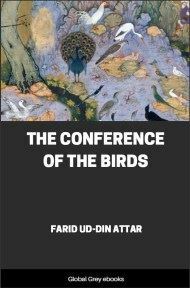 Sadi doesn't lean on allegory as much as other Sufi writers of the period; most of the stories in this collection have a pretty obvious moral lesson. If among the twenty-two works with which Sadi enriched the literature of his country the Gulistan rank first in popularity, the Bustan (lit. "Garden") may justly claim equal precedence in point of interest and merit. 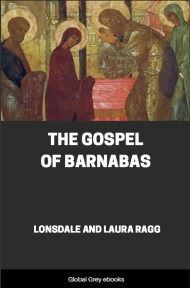 No comprehensive translation of this important classical work has hitherto been placed before the reading public, but it cannot be doubted that the character of its contents is such as to fully justify the attempt now made to familiarize English readers with the entertaining anecdotes and devotional wisdom which the Sage of Shiraz embodied in his Palace of Wealth. This is the name which he applies to the Bustan in an introductory chapter, and it is .one which springs from something more than a poet's fancy, for the ten doors, or chapters, with which the edifice is furnished lead into a garden that is indeed rich in the fruits of knowledge gained by a wide experience of life in many lands, and earnest thought. The Bustan is written in verse—a fact which adds considerably to the difficulties of translation, since the invariable rule of Sadi, like that of every other Persian poet we have read, is to sacrifice sense to the exigencies of rhyme and metre. In not a few cases the meaning is so confused on this account that even the native commentators, who possess a fund of ingenuity in explaining what they do not properly understand, have been compelled to pass over numerous couplets through sheer inability to unravel their intricacies and the abstruse ideas of the poet. Probably in no other language in the world is poetic license so freely permitted and indulged in as in Persian. The construction of sentences follows no rule; the order of words is just that which the individual poet chooses to adopt, and the idea of time—past, present, and future—is ignored in the use of tenses, that part of a verb being alone employed which rhymes the best. Notwithstanding idiosyncrasies of this kind,. the Bustan is written in a style that is delightfully pure and admirably adapted to the subject. The devout spirit by which Sadi was characterized throughout his chequered life is revealed in every page of the book. 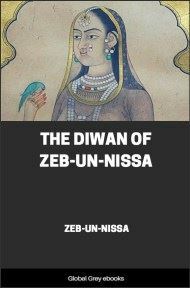 In the Gulistan he gave free rein to the quaint humour which for many centuries has been the delight of the Eastern peoples, and which an ever-increasing body of English readers is learning to appreciate and admire. In the Bustan the humour is more restrained; its place is taken by a more sober reasoning of the duties of mankind towards the Deity and towards their fellow-men. Devotion to God and the inflexibility of Fate are the underlying texts of every poem, and the ideality of the one and the stern reality of the other are portrayed in language the beauty of which, it is to be feared, the English rendering does not always adequately convey. The poems abound in metaphor, a figure of style which Eastern writers employ to a degree that is always exaggerated, and sometimes tedious; but for the purpose of this translation, which aims at a happy medium between literal accuracy and the freedom requisite in order to render Oriental phraseology into polite English, numerous of the more far-fetched allusions have been discarded, to the benefit of the text. 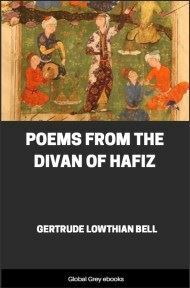 Although a memoir of Sadi's life is included in another volume of this series, it may not be out of place to give here a brief outline of the poet's career, especially as the Bustan contains several references to his childhood and travels. For my father departed in my childhood. But poorly endowed with earthly riches, Sadi endured many hardships in consequence of this bereavement, and was eventually obliged to live, together with his mother, under the protection of a Saracen chief. How long he remained there it is impossible to say, for the reason that his biographers are the reverse of informing. 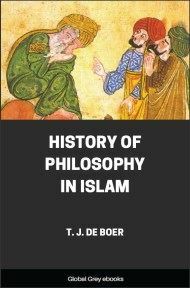 This much is, however, known, that being imbued from early childhood with an insatiable thirst for knowledge, he eventually journeyed to Baghdad, then at the zenith of its intellectual fame, and was enabled to enter a private school there through the generosity of a wealthy native gentleman. Making full use of the opportunity so favourably presented, the young aspirant progressed rapidly along the path of learning, and at the age of twenty-one made his first essays in authorship. Some fragmentary poems which he submitted with a long dedication to Shams-ud-din, the Professor of Literature at the Nizamiah College of Baghdad, so pleased that able and discerning man that he at once fixed upon Sadi a liberal allowance from his own private purse, with the promise of every further assistance in his power. Soon after this, Sadi was admitted into the college, and ultimately gained an Idrar, or fellowship. 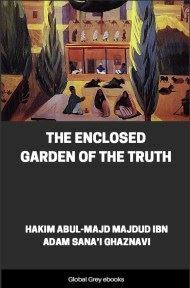 In the seventh chapter of the Bustan he narrates an instructive story reminiscent of his studies at Nizamiah, and, prone to conceit though he often is, he tells the story against himself. His scholastic life did not terminate until he had reached the age of thirty. Of the value of this prolonged period of study he himself was fully cognisant. Dost thou not know," Sadi he asks in the seventh chapter, how Sadi attained to rank? Neither did he traverse the plains nor journey across seas. he In his youth he lived under the yoke of the wise: God granted him distinction in after-life. And it is not long before he who is submissive in obedience exercises command." No better example of the truth of this passage could be cited than that afforded by his own case.